What companies are currently stocked within Tank Puffin? Suicide Bunny, The Mad Alchemist, Cosmic Fog, Majestic and Five Pawns. The pricing within Tank Puffin start from £5.99 a bottle and go up to £27.99 for the high end E Juice such as Five Pawns. The shop offers Quality juices with Drug Association approval so vapers can feel confident they are using a safe E Liquid. The look of the shop itself which has a clean and simple layout for easy browsing, along with the staff who are warm, welcoming and helpful. What’s the difference between UK and American juices? Why is this such a niche shop? America is the country who created the initial vape experience. They have rigorous checks on all ingredients within their juices. Tank Puffin juices offer a full drug association approval of the individual ingredients within their juices with a full list of ingredients available. The mixing and advance in quality control is far greater within America due to their earlier start of production and wealth of knowledge. The staff are trained and informed to the highest standards possible. The aim within Tank Puffin is to give full support throughout the process of quitting the cigarettes and not just initial purchase. This could be described as a full after-care service tailoring your needs. As well as knowledge on products within the stores itself. For any more information on the juices and how vaping can be used to quit smoking, you can contact either shop via telephone or simply pop in and visit the stores. 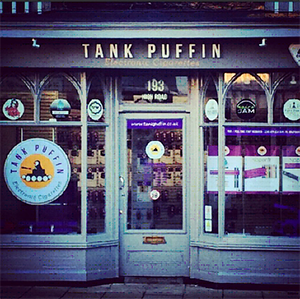 Instagram@tankpuffin or the Facebook page. All enquiries welcome no matter how big or small. 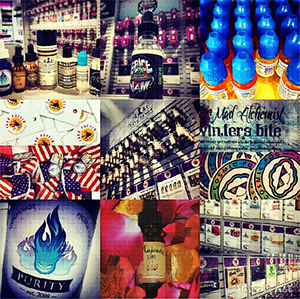 This entry was posted in Press Releases and tagged American, Cosmic Fog, e juice, e liquid, electronic cigarettes, Essex, Five Pawns, Halo, IG10 4LF, Loughton, Majestic, Mister E, Mount Baker Vapor, Space Jam, Suicide Bunny, Tank Puffin, The Mad Alchemist, TMA, USA, Vapor-fi. Bookmark the permalink.